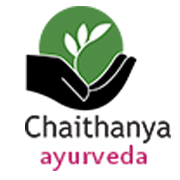 Ayurveda at Riverine is managed by Chaithanya Ayurveda � a group of qualified Ayurveda professionals experienced in the practise and teaching of Ayurveda. The access to Riverine resort is only water way and the management has arranged boats for to and fro transportation. There is a house boat with two rooms and small canoes for those guests who wish to spend leisure time by riding in the river. Ayurvedic Spa Centers offers ayurvedic spa treatment & also offers consultancy services to diagnose the nature of disease and diseased by personalized herbal formulatuions, panchkarma, traditional treatments, mother child health care, health education, detoxification programme. Provides services of ayurvedic therapy, body massage, yoga, ayurvedic cancer treatment, henna-hair conditioners, dandruff treatment packs, face massage and body massage services. We are leading service provider of food, health and beauty services, clothing, air tickets and travel deals in your city. We are leading service provider of body soaks, regular hair and scalp treatments, regular beauty treatments, SPA beauty treatments, body wraps, body experiences. We are engaged in offering services like accu-pressure treatment, cosmetics, diet consultants, fashion, himalayan ayurveda treatment, message equipment, message therapy, panch karma ayurveda treatment, personality development, slimming equipments, slimming therapy, yoga training. 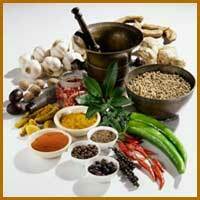 We are engage in offering services like ayurveda therapies, nutrition, ayurveda medication, yoga. We are engage in offering services like aerobics, antenatal fitness, body works, dieting consultancy, fitness, group exercise classes, personal, training, pre natal exercises, pregnancy exercise, prenatal fitness, weight loss solution, weight training, yoga consultancy. We will help you select the body or beauty treatment that’s just right for you. 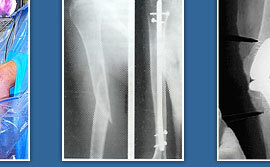 All of our service providers meet the highest possible standards. Each one of our staff has been selected for their professional demeanor and exceptional talent. Our Philosophy Feather spa provides the ULTIMATE SPA EXPERIENCE with treatments created by combining the best ancient techniques and herbal secrets with advanced discoveries in beauty and wellness. We are engage in offering services like facial, salon, spa. We are engaged in offering services like acupressure & acu massage, ball wooden, cervical belt, energy roller, face pack, foot mat, foot roller, hair oil, hand grip - deluxe, magnetic bracelets, pain relief oil, roller, tri urja yantra, wheel massager. We are engage in offering services like oriental scalpmassage, royal hair treatment, spa hair treatment. We are engage in offering services like ayurveda, massage, panchkarma, steam & aromatic baths, yoga. We are engage in offering services like ayurvedic consultation service, ayurvedic medicines service, ayurvedic rejuvenation treatment service, panchakarma ttreatment service, traditional ayurvedic treatment service.